The used fleet market remains in a robust state, in particular for alternatively fuelled vehicles (AFVs). Latest data from Aston Barclay shows that average fleet values for Q1 2018 were up 2.4% on Q1 2017, rising £222. Q1 2018 was particularly busy with a range of good ex-fleet stock in the market with strong bids and conversion rates. Average diesel used fleet car prices fell just 0.3% (£34) from £9,802 to £9,768, while fleet petrols were down 0.7% (£50) from £7,397 to £7,347. The biggest price movement was the 17.7% rise (£2,238) in fleet alternatively fuelled vehicles (AFVs), despite an average mileage increase of 5,483 miles; however, auction volumes remain limited. “The used market over the last 15 months has seen very strong and prices have remained very healthy. 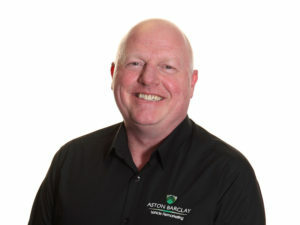 The impact of many older used cars being taken out of the market by scrappage has boosted part exchange prices, while demand and prices of ex-fleet stock have been consistently high,” explained Martin Potter, Aston Barclay’s group operations director. “Demand for diesels from the trade has been healthy during the last 15 months, while hybrid prices continue to rise as they establish confidence with buyers,” he added. Aston Barclay also carried out research on SUV and hatchbacks from nine car makers sold at auction during Q1 2018 and noted that used hatchbacks remain very popular despite the growing popularity of SUVs. The data shows that on average, SUVs get replaced more often and with fewer miles (39 months/41,988 miles) than hatchbacks (42.3 months/50,194 miles). The number of stocking days is very similar – 17.4 days for SUVs and 17.0 for hatchbacks, reinforcing the strong desirability of both vehicle types.